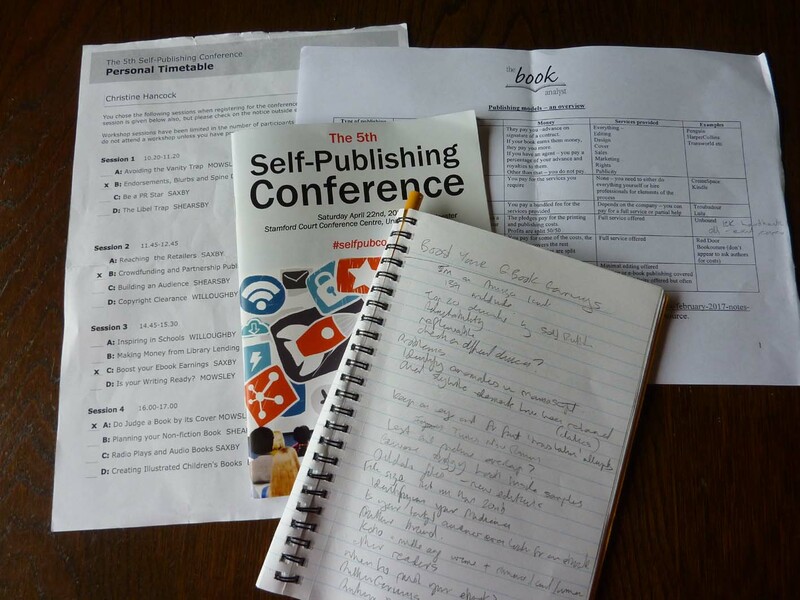 On Saturday I attended the Self-Publishing Conference. This was my second visit, you can read about my first here. What was my experience this year? I see that I didn’t manage to live-tweet last year – the same thing happened. I also neglected to take any photographs – at all! The main difference was at the lunch break. Last year I remember sitting on the floor, chatting with other authors and swapping cards. I arrived with some freshly printed cards, but managed to get rid of only two. I don’t know if the arrangements had changed or if I got there earlier, but I found space on a table. Most of the people I spoke to seemed to be staff/helpers/speakers. Over the day I spoke to several people, but since I had come with a friend, perhaps I was not as open to random chatting. So why was I there? Last year was a bit of an experiment and I learned something of the direction I was travelling. This year, I had a purpose. I have a book, just about finished. I am seriously thinking about publishing – but how? I have spent a lot of money on editing and cover design. Could I do the rest myself? Someone had recommended CreateSpace, then there is KDP. What was the difference, should I go down that route or was there a different way? I know there are many different ways to publish, and more appearing all the time. My objective was to find the right way. The Keynote speaker was Angus Phillips, Director of the Oxford International Centre for Publishing Studies. His subject was “The future of the book: the changing publishing landscape”. We heard about how book sales have changed. The growth of e-books has slowed, but the balance between digital and print has probably stabilised. Dedicated e-readers are less popular, but consumers are using other devises to read books. The outlook seems gloomy for bricks and mortar book shops – more are closing all the time. Readers are using the internet where there is less time for your product to make an impact. You have to get out there, promote your “brand”, write blogs, have a presence on social media etc, Physically visit book shops, festivals. Everything is changing – apparently the future is Virtual Reality. I’m not sure anyone knows how that is going to work. We then split up for different sessions. My first was “Endorsements, Blurbs and Spine Design – Beyond the Cover.” with Chelsea Taylor, production manager and Jonathan White, sales & Marketing Manager, both with Troubador. I was hoping to find out how to write a blurb – some thing I have been having trouble with. There was rather too much about covers in general – size of images etc. I didn’t really need this, although I was gratified to note that my cover fulfilled most of the criteria. One interesting point is to avoid a photograph on the cover for Historical Fiction. Apparently it just looks wrong, readers will be put off. Endorsements should only be used if by a well-known name, otherwise avoid. In Spine Design you must think about using a cohesive design and there is no need to put all the information there – just enough to get the casual browser to pull out the book to see more. 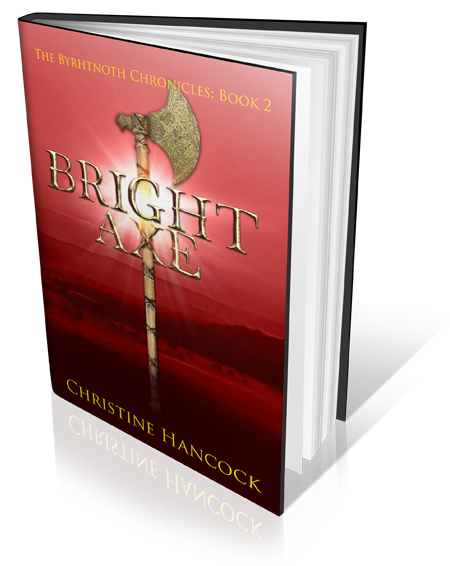 As for the blurb, it is wrong to tell the story, you must leave them wanting more. The first sentence must grab the reader’s attention. I wonder how I’m going to manage that? There was a short break for refreshments. This was the only point on which I could complain. There was a large selection of coffee, tea and even hot chocolate. The was nothing cold, soft drinks or even water – at least that I could find. It was a sunny day and I’m sure not everyone wanted a hot drink. The next session was “Doing it Differently: Crowdfunding and Partnership Publishing.” We were given a very useful sheet with all the different options listed; from Traditional to Vanity Publisher, via Self-Publishing (doing it yourself), Packagers (paying for someone else to do it for you), Curated (more of a partnership between you and the publisher) and Crowd-funding (raising the money before you publish). The session was chaired by Cressida Downing (my editor) and we heard from Alice Jolly, who crowd-funded a book that she was unable to get published any other way and Jeremy Thompson of The Book Guild Ltd who explained the various options that they provide. I think I now know understand what is available, but which to choose? This was followed by lunch, which I have already mentioned. The food was excellent and there was plenty available. After lunch, the Plenary Session was given by Clive Herbert, Head of Publisher Services, Nielson Book. “The growing importance of bibliographic data.” This sounds like a boring subject, but is essential to know about. Everyone knows about ISBN numbers, I had thought about buying a set of ten – one for ebook , one for print book, plus some left for next book etc. There is so much more you need to know. With 500 new titles published each day, how does a reader find your book in the right place (book shop, online), at the right time (publication date)? How do they know your book actually exists? Figures were thrown about, graphs shown and strange acronyms described – BIC (Book Industry Communication) which enables you to classify your book. So much information you need to think about – and it has to be in place 16 weeks or 112 days before your publication date. No wonder books take so long to publish! How would I find my way through this maze? I stumbled, stunned, out of this session into “Boost Your Ebook’s Earnings: Maximising Sales.” with Rachel Gregory, Troubador’s Ebook Programme Manager. It sounded useful. But this was more figures, more things to think about. Different versions, so many platforms, lists of websites that might help – or not. My handwriting, not good at the best of times, was deteriorating. I’m sure I have a lot of interesting information – if only I could read it! Something that I thought was straightforward was much more complicated than I expected. This was followed by a tea break. I found the cake this year – I needed it. My final session was more restful “Do Judge a Book by its cover.” Chelsea Taylor (who I had already met in the Beyond the cover session) and Andy Vosper, Deputy Chief Executive of TJ International Ltd., talked covers, beautiful covers. A cover is subjective, you must decide who you want to attract – what will they find attractive. What to readers of your genre like? You must stick to that, but also make your book stand out from the others. We learned a lot about cover enhancements: Foil, UV Lamination, Glossy, Matt, Supermatt; I loved the feel of supermatt – there was a lot of passing around of books, touching and stroking. I was still thinking basic self-publishing. None of this can be done with Print on Demand, so I just enjoyed the experience. The beautiful things you can do with dust jackets on hardbacks. And who knew there were so many versions of a paperback: embossing, debossing, flaps, flaps with perforations to provide a tear out bookmark. But every addition to the basic book increases the cost. If you have plenty of money you can produce something unique. There was a bit about practicalities – what colour and quality paper to use, what font to use, on cover and inside, bringing details of the cover inside the book. I emerged, stuffed to bursting point with information and a realisation that there was so much I didn’t know, but at least I now know what I don’t know. I calmed down with a glass of wine and a chat with my editor, before finding my driver. It gives an indication of the range of different sessions on offer that we had not shared any of them (apart from Keynote and Plenary). There were sessions about using the Media and how to avoid getting sued, Selling to Bookshops and how to deal with copyright, Children’s books, schools and libraries, Non-fiction and audio books. It was an exhausting day, but I leaned a lot. Did I come to a decision on which direction to take? Perhaps. Am I going to tell you what? Of course not. I might discuss that in a different post. ← Description – Embellishment or Info-Dump?